No charge. Space is limited; registration required. Returning participants can register by following this link. First-time participants or those who wish to register by phone are invited to call us at (718) 218-3373. Space is limited; registration required. 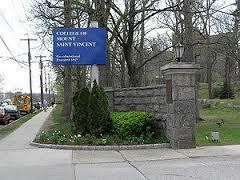 Offered in partnership with the Riverdale YM-YWHA and the College of Mount Saint Vincent. Returning participants can register by following this link. First-time participants or those who wish to register by phone are invited to call us at (718) 218-3373.